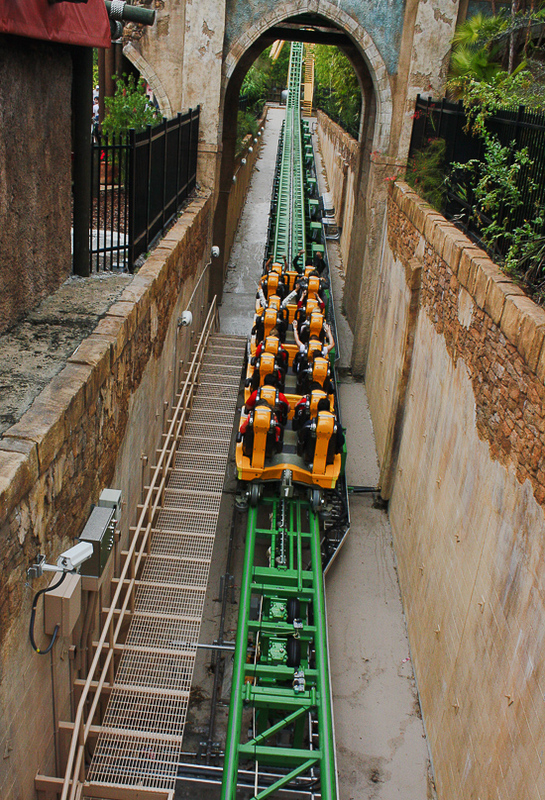 The post launch helix takes you around and down to Cheetah Hunt's second launch. 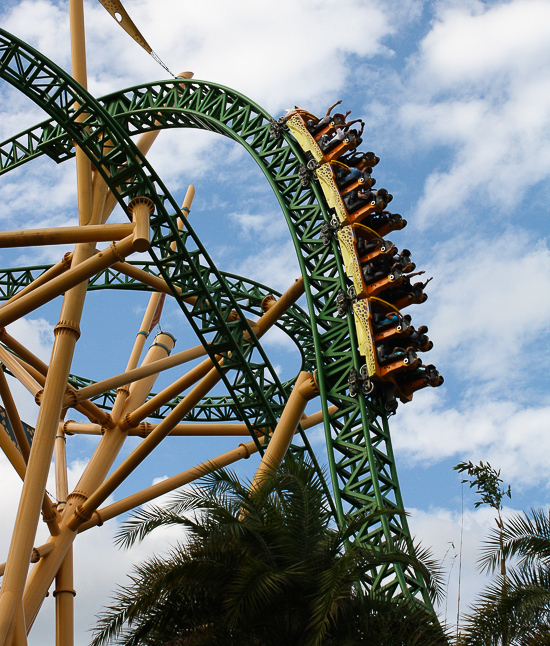 Cheetah Hunt's first launch gets you up to thirty-five miles an hour while this second launch gives you a nice boost up to sixty miles an hour. There is a nice kick here with the launch so just put your arms up and scream! 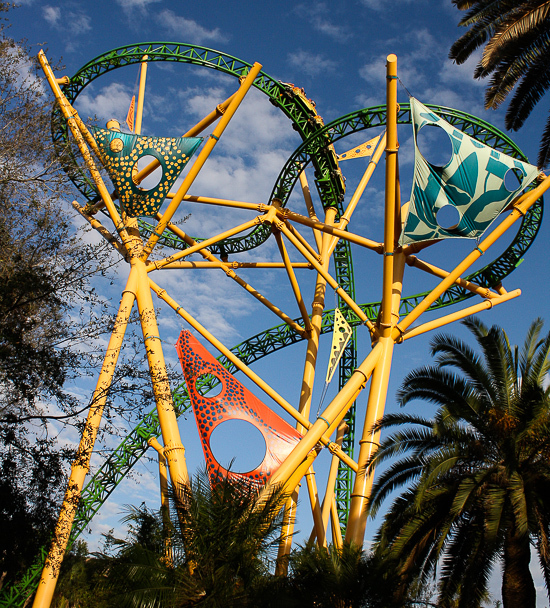 At the end of Cheetah Hunt's second launch is this weird tower tangle of track. 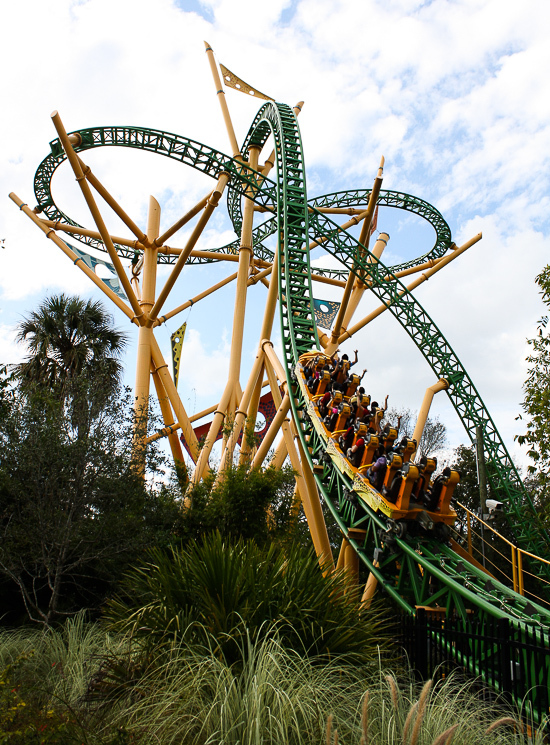 When I first saw photos of this tower when Cheetah Hunt was under construction I was like "What is that" but it does some really cool things. 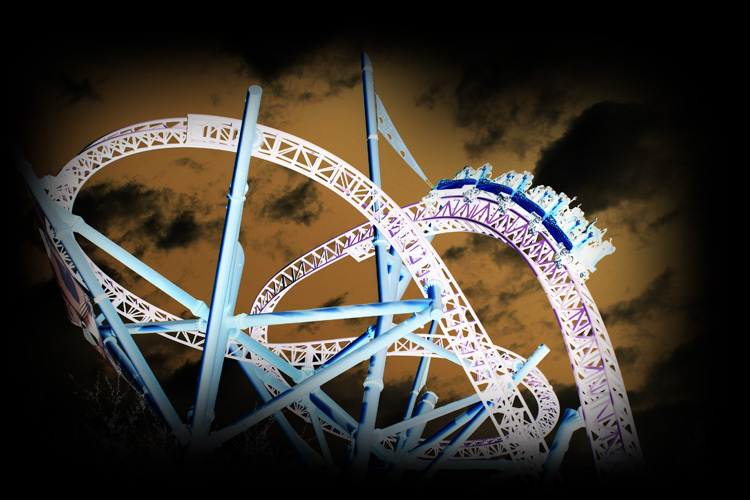 First off there is some wicked airtime as you speed over the crest of this hill. 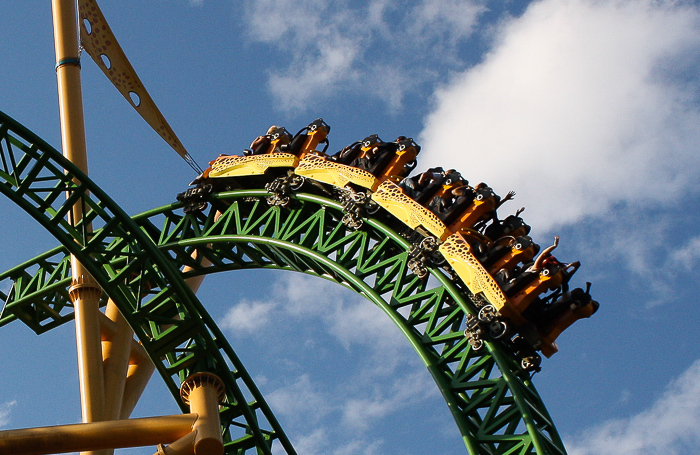 You really go flying up and over and when you're trying to catch your breath and get your bearings after the launch Cheetah Hunt rapids twists you to the right and to the left quickly disorienting the riders. When you've got your riders not sure of which way they're going a good designer has the chance to mess with them giving them a really intense ride because they're so turned around they don't know what's coming next. The final reason for this tower is it just looks amazing and is extremely photogenic. You can see this tower from around most of the park and like a giant billboard it says "come ride me" and we did. Oh yes we did!